How to embed a Táve contact form into your Squarespace website. 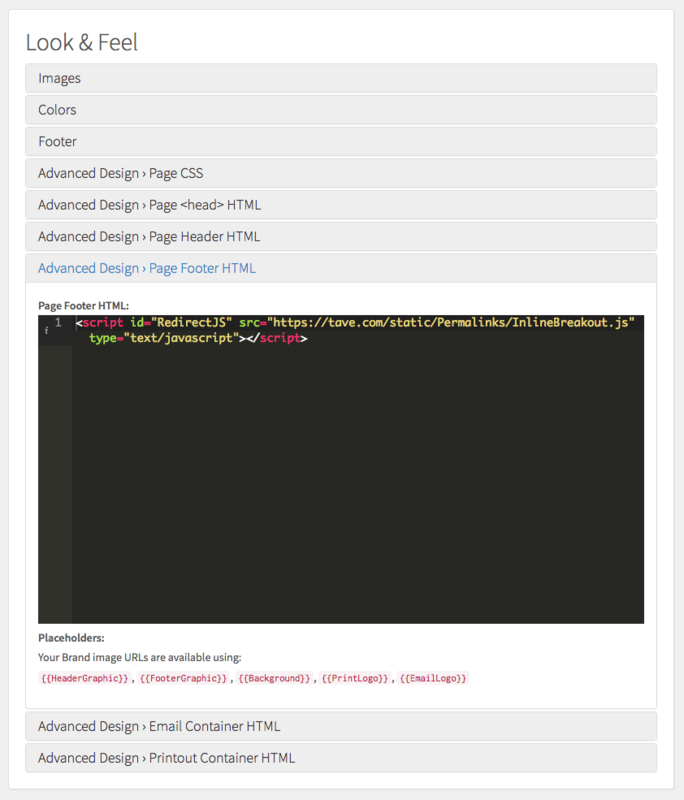 Here is a simple way to make your Táve contact form fit in with your Squarespace website. After creating your contact form in Táve (follow this tutorial if you haven’t done so already), you can embed the form into the content of an existing page on your website using the iframe code provided in the dialog box that appears when selecting Embed Form next to the form. 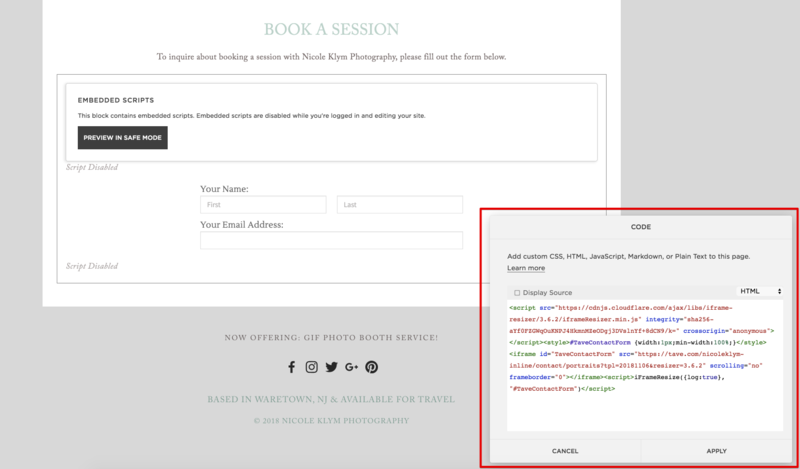 To embed the contact form into your Squarespace website, you will insert a code block on your contact page wherever you’d like the form to appear, and paste the code provided below like so.